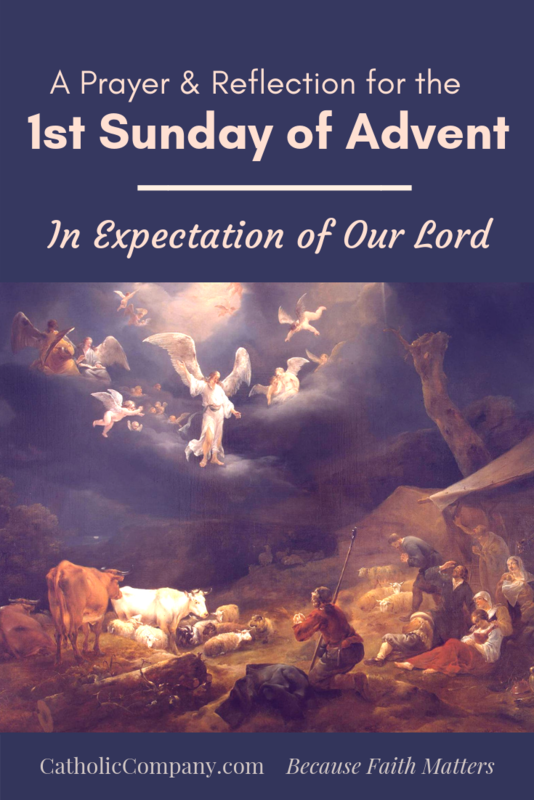 View The Catholic Company's entire selection of Advent Prayer Books here. "O holy Abba God, we are an expectant people, always rushing to accomplish things, only to experience time slipping through our fingers. We expect things to improve, hoping that somehow we will not always put you, and our relationship with you, on the back burner of our lives. For this reason, we pause for a moment in prayer. Be with us during this season of Advent. 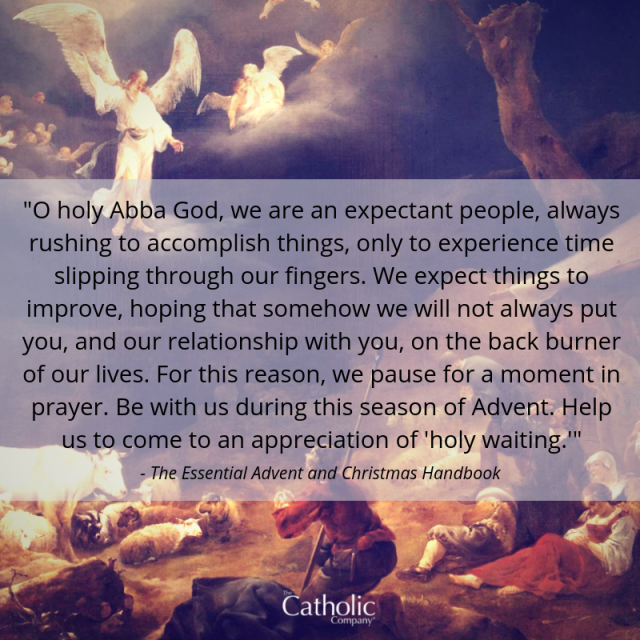 Help us to come to an appreciation of "holy waiting." As once your people long ago waited for their Savior to be born, help us to enter into the spirit of celebrating the growing awareness of your Word in our lives. Let the power of your Word not be buried or forgotten because of the press of our other obligations." Amen. "Let us understand the whole power of these words: to be children of the promise is to be the children promised to Abraham…We are, then, the race that he has made in a particular manner: children of the promise, children of grace, children of the benediction, a new and special people that God has created to serve him. We are not merely to bear his name, but to be a true people, agreeable to God, zealous in good works, and, as children of mercy, chosen and beloved, loving God with all our hearts and our neighbors as ourselves, and extending our love to all nations and all peoples, as to those who are, like us, heirs to his promise. There are the riches hidden in these few words: ‘In you and in one of your race all the nations of the earth shall be blessed.’"
This article has been updated and was originally published in December 2012. Thank you for sharing these traditions which have not been passed on to my generations to the present and Pray that they will be resurrected in our times. I wait in anxiety & with much love for your coming Oh Sweet Jesus!! Where do i find Advent Candles? I enjoyed the Advent prayers. Where can i find Advent Candles? What a beautiful way to start the Christmas Season ... thinking of my loved ones and the gorgeous tapestry of my life whose colorful threads represent the many people whose paths have intersected with mine. Praise the Lord! I joyfully join whole Christendom in awaiting the birth of the Savior, Jesus Christ!